At 141 Dental Care we offer a wide range of non-surgical facial aesthetic treatments that can instantly improve your self confidence and rejuvenate your facial appearance. We provide non-surgical wrinkle reduction therapies using Botulinum Toxin(Botox), Dermal Fillers and Medical Microneedling (Rejuvapen). These treatments will provide you with healthier more youthful looking skin. Our highly trained facial aesthetics staff will ensure that your treatment journey is pleasant and trouble free. We will work together with you to ensure an individual care plan is made. Our facial treatments are offered at flexible times to ensure that your privacy and well being are respected. Botulinum Toxin Botox® has been used for over 25 years. It is very safe and is injected directly into facial muscles in very tiny amounts during treatment. It works by blocking the transmission of nerve impulses to the facial muscles that have been injected, making the muscle less active and smoothing the appearance of lines and wrinkles. It is excellent for the treatment of excessive underarm sweating. Our botulinum toxin of choice is Azzalure. Dermal Fillers contain Hyaluronic Acid which is a substance that is found naturally in the body. It is well tolerated by the body as a result. It is also a temporary and reversible treatment. At 141 Dental Care we use only Hyaluronic acid containing fillers. Our brands of choice are Restylane and Emervel. At 141 Dental care we use Rejuvapen for our Microneedling. This treatment stimulates the fibroblasts in the body to produce collagen. 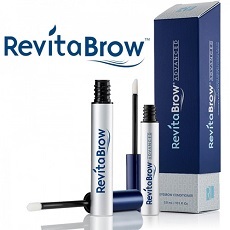 This allows for improvement in fine lines and the overall texture and health of the skin. It is a non-injectable treatment. It is also very helpful in the treatment of scars and stretch marks.